At Peachland Dental Centre, we provide orthodontic solutions that can help you get the smile you want. Fastbraces® are an orthodontic solution that can help you get the smile you want. If you are looking for a straighter smile, we can help. This system works by using specialized brackets and a heat-activated wire to shift your teeth. Because of it's triangular shape, Fastbraces® shifts both the crown and root of the tooth at the same time. This efficiency offers a number of benefits for your teeth, your comfort, and your wallet! Because of the triangular bracket and how it applies gentle force to both the crown and root of the tooth to ensure that they are moved at the same time, Fastbraces® is a great choice for those looking to straighten their smile. The force applied to the tooth is gently, guided and balanced allowing this alignment method to create a small amount of friction. Did you know that Fastbraces® has a clear/tooth-coloured alternative? We offer ceramic brackets and a tooth-coloured wire for adults looking for a more discrete and aesthetic solution. 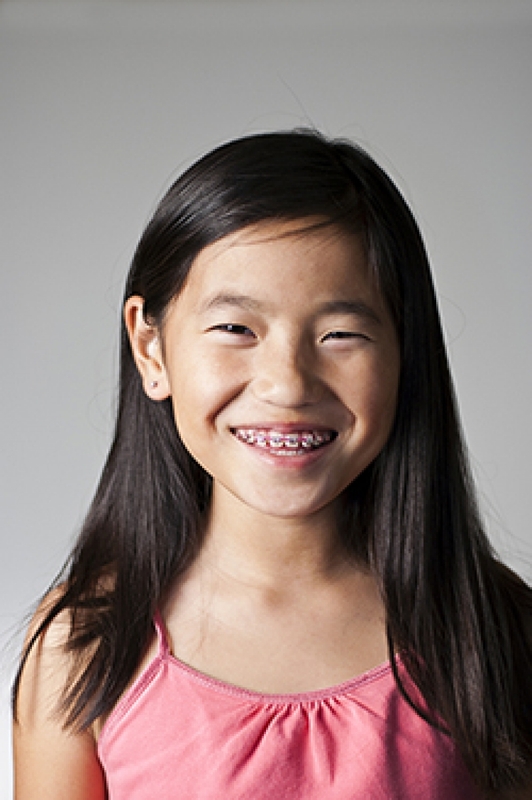 With our ceramic and tooth-coloured materials, your braces can blend right in with your smile. Fastbraces® may get you results within less than a year. Come in for a consultation, and our dentists will provide you with the information and treatment plan based on your individual smile. We would love to see you in our office for a complimentary consultation!